Is your school website helping you to become the school of choice? Does Your School Website Help You Become a School of Choice? School choice and the many possible options available to K12 education have created an environment of competition that was nonexistent even a decade ago. As incoming parents, the Millennial (1981-1998) and Centennial (1998-2014) generations will demand even greater choice than the generations preceding them. And, since the Millennials have overtaken the Baby Boomers as America’s largest generation, today’s schools simply cannot afford to ignore the implications of this competition. Whether the competition is from online programs, home schooling, charter schools, private schools, magnet schools, vouchers, or tax credits, school administrators need to start thinking like CEOs. That means they must put increased emphasis on school customer service and school marketing. It hasn’t been popular, at least in public school circles, to even use the “M” word, and it formerly was a relatively safe industry to enter if you wanted to avoid all that smarmy marketing clap-trap that is required study for most executives. But avoiding marketing only works in industries where you are the sole source provider and there is no competition. That is no longer the case when it comes to K12 education. So, how do you confront these industry-wide changes? There are three major groupings of customers served by your school’s website. First, there are the people looking to know more about what your school has to offer them (whether for their child’s education or as a staff member considering joining your team). They are looking for answers. 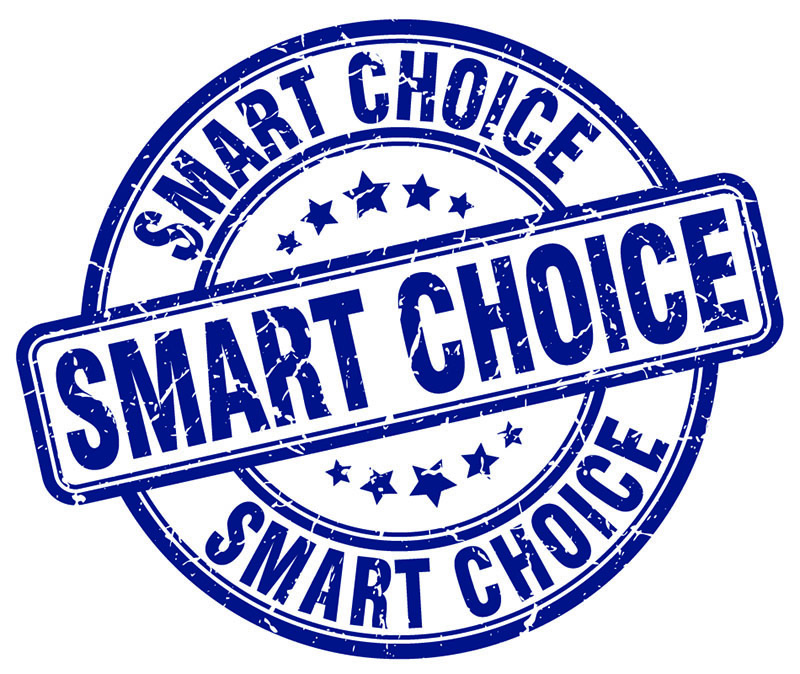 Secondly, there are people who know what they want and possibly already believe your school might be a good choice but are looking to confirm or negate you as a choice. They are looking for proof. Finally, there are the people who already know about your school and are visiting your website again because they trust that you’ll provide them with the up-to-date information they need—quickly and easily. These are usually parents of registered students or staff who already work there. They hope to have their trust validated, and their confidence strengthened. They are looking for current info. As you can see, each of these distinct groups will require that you meet their needs with a different communications approach. Your website, as your primary and very public communications outlet, must do that for them to be effective. This can be done easily by providing content for each of these groups through content grouping and internal linking to relevant pages. It also requires that you understand the typical needs for each of these groups and that you provide content worthy of their interests. One unfortunate trend we see on some school websites is to create a recruitment-only focused website. Some competitor blogs go so far as to say that your website should be all about marketing and if parents for the currently enrolled need something, they should log in to a secure, password protected area (often associated with student grades and other student specific information). This narrow approach has a few fatal flaws. By having everything that is on the public facing website geared toward recruiting, with its associated marketing verbiage, your website is neglecting the majority of those who will visit your school website. You’re telling them you care more about the new students than about the ones you already have. If a marketing department is driving all of your website content, you might be doing your school’s parents and students a huge disservice. When you want to become the school of choice, consider how you appear to those looking for the best school for their child’s needs and don’t put all your proof behind a secure login. Think of it like this. It has been said that it takes about 5x as much effort and money to gain a new customer as it does to keep the ones you already have. That means if your focus is to increase enrollment, but you gear all your communication efforts at only those new students, you’ll soon lose the loyalty of the ones you have. Don’t neglect them. We see this happen most often with private school websites because they must focus on recruitment to keep their doors open. But keep the proper perspective, and serve both of these critical audiences. Besides, existing students and their engaged parents can be your best recruitment resource. Referrals and recommendations carry more weight than any amount of advertising or marketing you will ever do—and can cost you nothing but some planning and understanding of what good school customer service is really about. When most of the daily news and events are not public facing, the community and anyone looking to see if what your school offers matches their child’s needs and interests, they won’t find it because it is behind a firewall. It doesn’t do you or them much good if they can’t get a live glimpse of your school in action. In fact, it can add an element of secrecy that you don’t intend, and it might do more harm than good. Parents and potential parents expect transparency and honesty about their child’s education, and the public facing website is the perfect place to demonstrate both of those values. Most people see marketing copy for what it is. Don’t make it all they can see. Here it is again—that weird word “brand” that no one can explain. But let me try. Your school’s brand is the emotional representation (images, words, reputation) of the perception your customers and shareholders have of your school. It’s a complex thing, this branding issue. It is emotional because it includes not just our visual impressions but the words your staff use (and the wording on your website), the values everyone at your school demonstrates, and the feeling each shareholder or customer takes with them after any interaction (in person, on the phone, or online). Put that school website to work! So, why should your public facing website’s primary focus include much more than recruiting information? Because a positive brand requires broad and sincere representation. Put articles and news stories (real emotion grabbing, heart string pulling success stories) on your news pages, and link back to them from your social media sites. Blog about what is important to you as a thoughtful leader and how those values drive excellence in education at your school. Use images and word choices that will leave the desired perception, which must include more than mere marketing hype. Don’t just say your school believes all children can succeed, but share a story of an example where that is happening. You want to create high-quality content that forges an emotional connection with your audiences—all three groups. Don’t get me wrong. You need to have marketing information on your site. You need to have an area that shows prospective parents and staff why your school is a good match for them (if indeed you are). You want your ideal students and staff members to recognize that your school will be the right place for them. That means you won’t try to recruit top athletes if your sports program isn’t a primary focus, and you won’t try to get students whose interests revolve around the arts if your educational niche is STEM students. This is why your public facing website should include news, stories, photos, and videos that reflect your school and all that it represents. Share more than marketing spiel—share results and enthusiasm. If you do, effective marketing will be the happy outcome (for both existing students and parents as well as prospective ones). Define your primary audiences and create a persona for each of these. That means, write up the typical statistics for each audience. It should include their age range, primary concerns regarding their child’s education, and other statistics like socio-economic groupings, educational background, fears and hopes, etc. It is likely that most of this information is already available in the registration information for your existing students. If not, survey’s are a great way to gather this data. Keep in mind that while “parents” might be one group, the parents of kindergarten students have different concerns and needs than those of high school students, so break your persona groups into like-minded categories. Define how your school website can provide answers, proof, and information for the needs of each audience. For example, you might decide that a convenient format for providing answers to your K–5 parents would be a conversational FAQ page that helps parents understand your elementary education mission, goals, and your expectations for their engagement and how they can help their child succeed. You might provide proof of the claims you make through regular success stories on your website. And, you ensure accurate and timely information through always current calendars on your school website along with the occasional friendly reminder through text or phone messages and regular, individual teacher contact. You might address these same concerns differently to the middle school or high school parents through the use of engaging social media and video posts that help them visualize their children’s integration and success at your school. You can create school web pages with answers to specific common needs. You can provide proof by adding staff, parents, and teacher testimonials to your website. You can create a website that is intuitive and reliable with up-to-date information on what’s happening in the lives of your students, especially the areas that will impact their parent’s schedules. Remember that you don’t get a second chance to create a first impression, and all prospective staff members will be looking at your school’s websites before they even apply for an open position. Is what they find there going to make them feel like it is a welcome, desirable place to work? Will they feel valued and appreciated? Will they have opportunities to grow? How can your website reflect that? It’s easy to create an area on your website that answers their questions, links to proof of your school’s successes (videos, testimonials, stories), and gives them the information they need, which is typically how to apply and what they can expect next. It is fairly simple to move toward becoming the school of choice in your area. Like any other service, we need to welcome our customers and let them know we care. It is true that people don’t care how much we know until they know how much we care. That is what parents want for their children. It is what staff members want from their leaders. It is what administrators want from their boards. It is what we all want, so we should be able to empathize with each audience group we need to serve, especially when it comes to customer service in schools. How would we feel in their shoes? What would we like to know? How could our school, our websites, our social media, our marketing and communication efforts address their needs and at the very least, show that we care about their concerns? Customer service makes or breaks businesses every day. Certainly, the real measure of service is the quality of our product, so that is the priority, of course. But, assuming we are striving for quality every day, our next step is to make sure our customer service does as well. When we create a customer-friendly environment in every area, and that includes the words our front office staff uses, the messages on our phone’s answering systems, the wording and tone we use on our website, and the signage in our hallways and on the marquee, we can attract and please customers every day. Schools are a business—our business. If we make them successful, we will be the first choice when it comes to school choice. And isn’t that what we all want?